Does your business have a social media presence? If yes, do you think you’re ticking all the right boxes for your campaign? Whichever the case may be, this post will provide you with everything you need to run incredible social media campaigns. Today, it’s pretty obvious that social media is one of the best ways to market your brand and drive user engagement — it’s sure to deliver exceptional results as long as you use it the right way. So, regardless of whether your social media campaign is meant to build a huge online community or launch a new product, you would want to take your time to do it right. If your ultimate goal is to build brand awareness and boost customer engagement, then we suggest you take a look at these tips and of course, work with them. You could even engage the services of a reliable social media marketing agency to help kick your efforts up a notch. What are you looking to achieve with this campaign? Do you want to boost brand awareness? Or are you looking to increase social media followers? Whichever the case may be, it’s in your best interest set your goals first before anything else. The bottom line? Be sure to do your homework and figure out how your efforts will drive excellent results. Now that you’ve set your goals, it’s time to choose the right marketing channels to collect customers details on. It’s critical to pick social networks that resonate with your target audience. Trying to figure out how to improve your campaign’s social ROI? It’s pretty simple — engage with its participants! The moment customers begin to post content with your hashtag, be sure to ‘like’ and ‘comment’ on all positive feedbacks. Doing this will humanize your brand, and that’s huge. At this point, you’ve probably collected a good chunk of content that you’ll want to display on your marketing channels. It’s sure to be an excellent idea to do this both online and offline — just be sure to stick with the highest quality and most on brand content. The good news? Celebrating your customers on your brand’s media is one of the surest ways to boost customer loyalty — what more could you ask for? 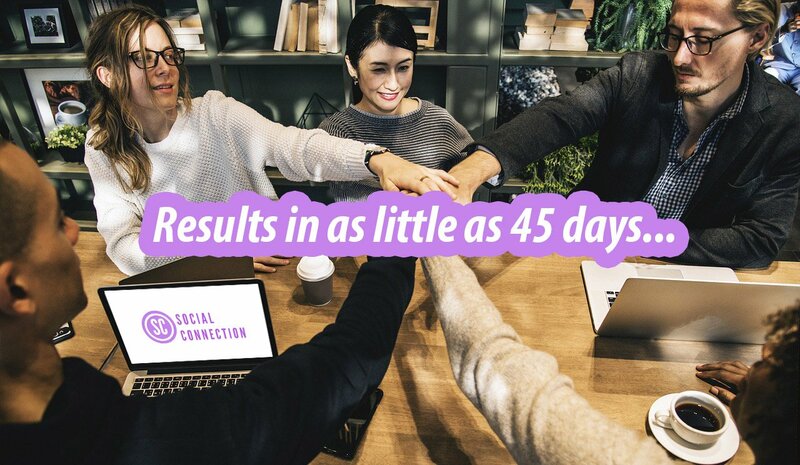 Now that your social media marketing campaign is coming to an end, you’ll want to see how much progress was made on your initial goals. For the most part, you should be looking forward to measuring both quantitative and qualitative results. The good thing is, you’re likely to discover new information as you analyze your campaign’s submission and that’s great for your business. And that’s it! These are five tips that are sure to take your social media marketing efforts to the next level. Just be sure to follow these steps and always remember to keep your audience and their needs at the center — you’re sure to see great results. Good luck!